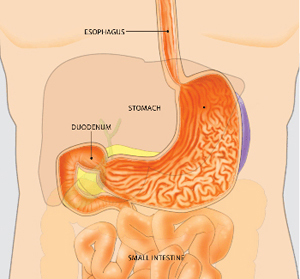 Understanding Colon Polyps and Their Treatment - Reflux, Stomach Pain, Ulcers - Stephen Severance, M.D. There are two common types: hyperplastic polyp and adenoma. The hyperplastic polyp is typically not at risk for cancer. The adenoma, however, is thought to be the precursor (origin) for almost all colon cancers, although most adenomas never become cancers. Histology (examination of tissue under a microscope) is the best way to differentiate between hyperplastic and adenomatous polyps. Although it's impossible to tell which adenomatous polyps will become cancers, larger polyps are more likely to become cancers and some of the largest ones (those larger than 1 inch) can already contain small areas of cancer. Because your provider cannot usually be certain of the tissue type by the polyp's appearance, providers generally recommend removing all polyps found during a colonoscopy. If one of these tests finds or suspects polyps, your provider will generally recommend colonoscopy to remove them. Because colonoscopy is the most accurate way to detect polyps, many experts now recommend colonoscopy as a screening method so that any polyps found or suspected can be removed during the same procedure. An endoscope is a medical device used by expert providers to look inside the digestive tract for abnormalities such as polyps. 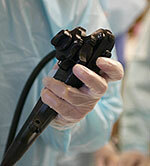 The expert provider controls the movement of the flexible tube using the endoscope handle. Your provider will decide when your next colonoscopy is necessary. The timing depends on several factors, including the number and size of polyps removed, the polyps' tissue type and the quality of the colon cleansing for your previous procedure. The quality of cleansing affects your provider's ability to see the surface of the colon. If the polyps were small and the entire colon was well seen during your colonoscopy, providers generally recommend a repeat colonoscopy in three to five years. If your repeat colonoscopy doesn't show any indication of polyps, you might not need another procedure for an additional five years. However, if the polyps were large and flat, your provider might recommend an interval of only months before a repeat colonoscopy to assure complete polyp removal. Your provider will discuss those options with you.